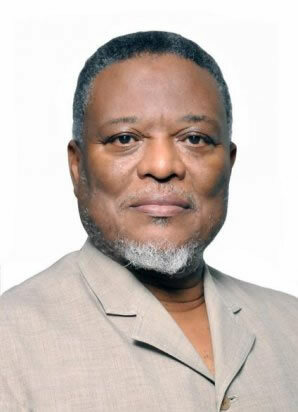 Samuel Archibald Anthony Hinds (born 27 December 1943) is a Guyanese politician and was Prime Minister of Guyana almost continuously from 1992 to 2015. Mr. Hinds, a chemical engineer who graduated in Canada, was General Superintendent of the Research and Development Division at Linmine. Samuel Archibald Anthony Hinds, well-known as Sam Hinds, was Prime Minister of the Republic of Guyana when President Cheddi Jagan died on 6 March 1997. As President Jagan had not completed his term in office, under the constitution of the Republic of Guyana, Prime Minister Hinds automatically succeeded him as President. As Prime Minister, Hinds had been the Deputy Leader of the PPP/Civic coalition. He was the head of the Civic Party before they joined with the PPP. Elections were held in December 1997 with Mrs. Janet Jagan, who had been appointed Prime Minister, as the presidential candidate. When the PPP/Civic won the election on 19 December 1997, Mrs. Jagan became the President and she then appointed Sam Hinds her Prime Minister. President Janet Jagan became ill and, in 1999, decided to resign from the office of President. The intention was to have Mr. Bharrat Jagdeo succeed her. In order to do this, Sam Hinds resigned as Prime Minister on August 9, 1999 allowing President Jagan to appoint Mr. Jagdeo to that office. Mrs. Jagan then resigned from the office of President on 11 August 1999 and the now Prime Minister Jagdeo succeeded her as the Constitution required. On becoming President, Mr. Jagdeo appointed Sam Hinds Prime Minister once more. After the re-election of the government in the 28 August 2006 election, Hinds was sworn in as prime minister again in early September. He was re-nominated as the 2011 prime ministerial candidate for the PPP in October 2011. After PPP/C candidate Donald Ramotar was elected President, Hinds was sworn in as Prime Minister again on 5 December 2011. Following the opposition's victory in the May 2015 general election, Hinds was succeeded as Prime Minister by Moses Nagamootoo on 20 May 2015. He was awarded Guyana's highest national award, the Order of Excellence (O.E.) in 2011.